Enjoy an intuitive, pleasurable shower in comfort and style with the Euphoria SmartControl 260 MONO Shower System with Bath Mixer. The innovative GROHE SmartControl technology allows you to switch between and combine effortlessly bath inlet, head and hand shower and to adjust the water volume at the push-turn of a button. 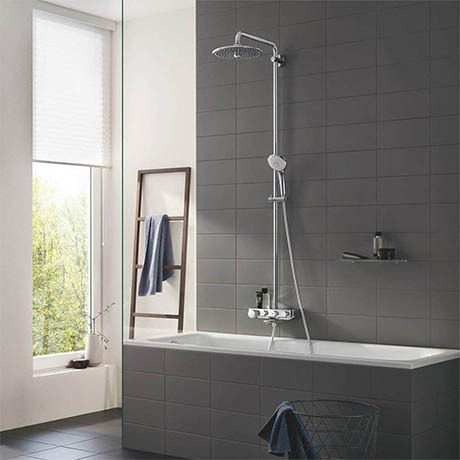 Both head and hand shower offer a choice of luxurious spray patterns. GROHE DreamSpray ensures that the flow from each and every nozzle will be even, no matter which spray you choose.